We all have it—no big deal, right? 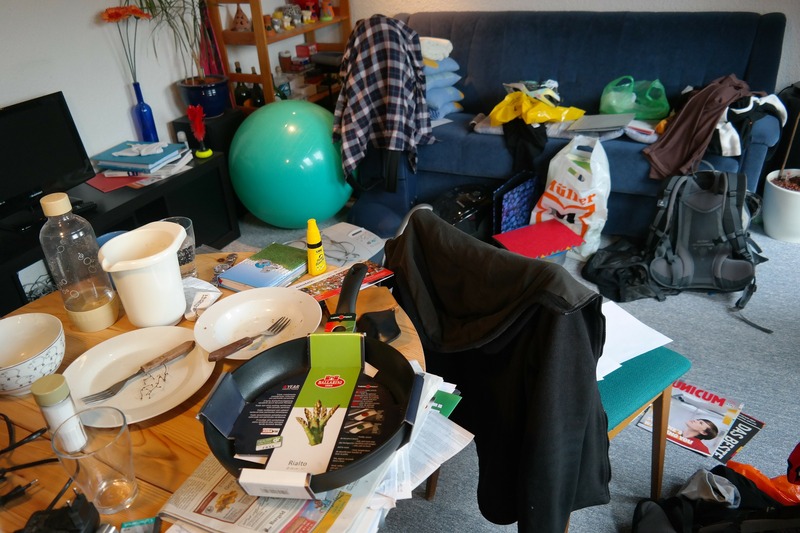 Well, if you look closely at where clutter accumulates in your home, you should discover the underlying organizational issues. Is there a specific place where you always find shoes piled up or mail thrown to the side? What about that one drawer that acts as a catch-all for your kitchen knick-knacks? Ultimately, these are the spaces that are crying out for attention. Again, it’s a common problem. Most homes are filled with things we barely use. So how do you decide what to keep and what to purge? While some items are made to serve a specific purpose—like a snow blower—and they actually prove useful in tough situations, many things you own don’t fit that category. On a case-by-case basis, consider each item carefully. Ask yourself a few questions like, when was the last time I actually used it? Is it important to me? Do I really, truly like it? If the piece doesn’t pass this simple test, then it’s probably time to give it a new home. Now that you know where the organizational issues are at home and you (presumably) have less stuff, it’s time to make sure you stay organized! Depending upon your exact problem, a new accessory could be the perfect solution. Such as a storage-packed bench, table, or modified coat rack to address your entryway clutter. Or a mail sorter directly on the table where the day’s collection typically accumulates. Honestly, you’d be surprised at the number of organizational tools you can purchase today. But don’t neglect the habits that got you into this mess, too. Such storage accessories only work if you actually use them. So, if your family wasn’t utilizing the shoe rack you had by the door before, there’s no guarantee a bench will be any more successful. Try to get everyone on the same page as you move forward during National Get Organized Month! For larger projects and full-scale reorganizations, contact our team. Although we’re not necessarily experts on getting organized, we are home renovation professionals (as well as your local fencing and decking experts)! For more information on how we can help you, contact us today.